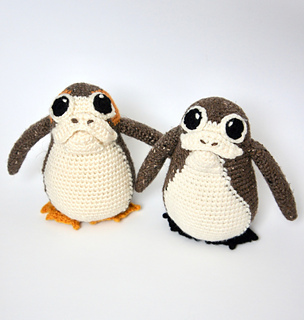 These adorable force sensitive creatures are ready to be your best friends, and journey with you into a galaxy far, far away! 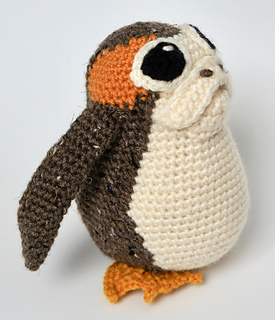 With this pattern, you can make a Brown Porg as well as a Brown & Orange Porg. 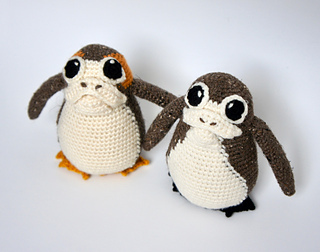 For the Brown Porg - Acrylic, worsted weight 4 ply yarn in Brown, White or Off-White and Black. 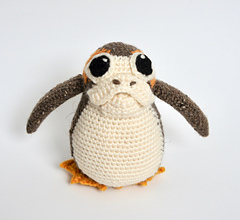 For the Brown & Orange Porg - Acrylic, worsted weight 4 ply yarn in Brown, White or Off-White, Black, Orange and Dark Yellow. The Porg’s height is 15 cm/6 inches. 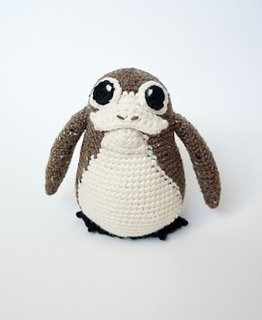 This pattern contains lots of pictures, easy-to-follow instructions, as well as explanations of ScDec and colour switching. 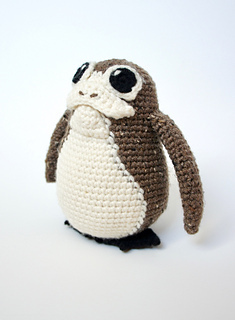 The pdf is 6 MB.